Whether you call it lean, purple, sizzurp, or drank, the abuse of codeine-promethazine cough syrup is famous in the world of rap. It’s prescription-only, so naturally, manufacturers have created imitation-lean mixtures with melatonin, kava kava, and 5-HTP, which are all available over the counter and make you tired. 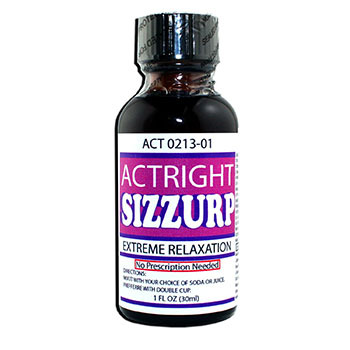 Actright Sizzurp isn’t the only one. There’s also Hi-Tek Purple Haze 2x, Legal Lean, and a product actually named Purple Drank. Of course, as happens in 21st-century America in general, the pharmaceutical companies win this battle, with the diphenhydramine (Benadryl)-loaded purple ZzzQuil syrup available online and off.